It's unfortunate that what should be a happy time for kids and parents too often becomes a time of contention and aggravation. The solution, as with most other issues in divorce, is clear communication and planning between the parents. Summer may be a time of relaxation for many people, but for divorced parents it can be a time of heightened stress as former spouses debate their vacation plans, says Brian M. Moskowitz, a well-respected family law attorney in south Florida. "It's unfortunate that what should be a happy time for kids and parents too often becomes a time of contention and aggravation," Moskowitz says. "The solution, as with most other issues in divorce, is clear communication and planning between the parents." 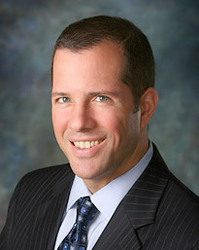 A common dispute arises when one party fails to clear vacation dates with the other, Moskowitz says. Another dispute arises when one parent plans a vacation location or activity that the other parent either does not endorse or finds in conflict with his or her own vacation plans. Mr. Moskowitz, who practices at the Law Offices of Brian M. Moskowitz, says problems can be avoided by addressing vacation schedules in the divorce agreement. Many people choose alternating years to take the children on vacation. For example, the mother may have odd years, and the father takes even years. The same approach also works for holidays, he says. If both parents want to take their children on a vacation every summer, the parents should set their dates and plans early in the new year and exchange plans in writing, Moskowitz says. "There's no substitute for preparing and no better way to prevent confusion than getting the plan in writing," he says. "Ideally, parents do it that way from the first year of a divorce and make it an annual practice." But life can upset even the best plans, Moskowitz says, and that's when divorced parents need to practice reasonable flexibility. "If situations at work or other events force vacation plans to change, one spouse should try to accommodate the other," Moskowitz says. "Both parents are usually entitled to vacation time with their children. Trying to deny that reality is usually harmful to all parties, especially the kids." If communication breaks down, Moskowitz says, a divorced parent who feels shut out of vacation time with his or her children should consult a family law attorney. Moskowitz also advises divorced parents not to surrender vacation time with their children because it seems too expensive or the other parent is being difficult. "Vacations are fun, but they're also important," he says. "The time together is good for the parent and the children. Find a way to do it, even at a very low cost. It's the time, not the date or the location, that matters the most." With offices located in Boynton Beach (primary), Boca Raton and West Palm Beach, the Law Offices of Brian M. Moskowitz handle a variety of family law cases for clients throughout southern Florida, including Delray Beach, Lake Worth, Wellington, Palm Beach, and Palm Beach County. The firm charges flat rates for many family law services and handles cases that include divorce, child custody, child support, mediation, modification, relocation, paternity and adoption. For more information, visit the firm’s website at mosklaw.com/ or reach the firm by phone at (561) 369-4481.